What is the cheapest way to get from Nantes to Missillac? The cheapest way to get from Nantes to Missillac is to drive which costs 7€ - 11€ and takes 44m. What is the fastest way to get from Nantes to Missillac? The quickest way to get from Nantes to Missillac is to train which costs 30€ - 45€ and takes 43m. How far is it from Nantes to Missillac? The distance between Nantes and Missillac is 54 km. The road distance is 59.8 km. How do I travel from Nantes to Missillac without a car? 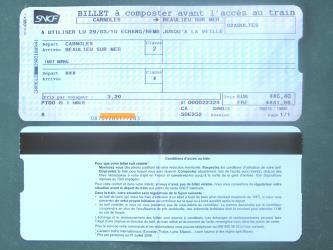 The best way to get from Nantes to Missillac without a car is to train which takes 43m and costs 30€ - 45€. How long does it take to get from Nantes to Missillac? 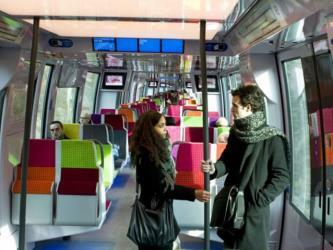 It takes approximately 43m to get from Nantes to Missillac, including transfers. Can I drive from Nantes to Missillac? Yes, the driving distance between Nantes to Missillac is 60 km. It takes approximately 44m to drive from Nantes to Missillac. Where can I stay near Missillac? There are 239+ hotels available in Missillac. Prices start at 54€ per night. 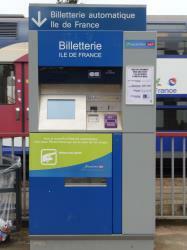 What companies run services between Nantes, France and Missillac, France? 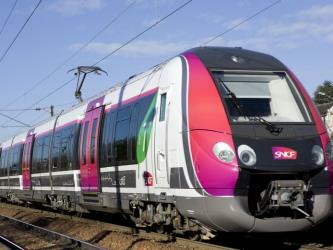 SNCF operates a train from Nantes to Missillac hourly. Tickets cost 13€ - 19€ and the journey takes 35m. Discover how to get to attractions and hotels near Missillac. The Château du Ranroët is a castle existing since the 12th century, located in Herbignac in the Loire-Atlantique department of France. Escal'Atlantic, is a museum that explores the historic ocean liner experience in Saint-Nazaire, France. The museum is found inside the former German World War II submarine pen in the harbour of the city port. It tells the history of the ocean liner, allowing the visitor to wander the insides of an “ocean liner” from the past by visiting areas of a vessel and by means of artefacts. The submarine base of Saint-Nazaire is a large fortified U-boat pen built by the Germans during the Second World War in Saint Nazaire. Redon Abbey, or Abbey of Saint-Sauveur, Redon ("Abbey of the Holy Saviour"; French: Abbaye Saint-Sauveur de Redon), in Redon in the present Ille-et-Vilaine, Brittany, France, is a former Benedictine abbey founded in 832 by Saint Conwoïon, at the point where the Oust flows into the Vilaine, on the border between Neustria and Brittany. Rome2rio makes travelling from Nantes to Missillac easy. Rome2rio is a door-to-door travel information and booking engine, helping you get to and from any location in the world. 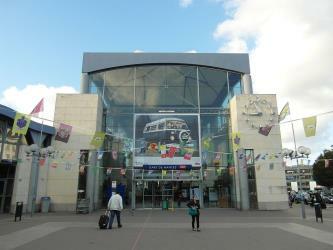 Find all the transport options for your trip from Nantes to Missillac right here. Rome2rio displays up to date schedules, route maps, journey times and estimated fares from relevant transport operators, ensuring you can make an informed decision about which option will suit you best. Rome2rio also offers online bookings for selected operators, making reservations easy and straightforward.